Big Brothers Big Sisters of Central Florida works with youth in need to ensure a brighter future. Siblings are more than just related by blood with the same last name. Having a sibling is like having a lifetime best friend. 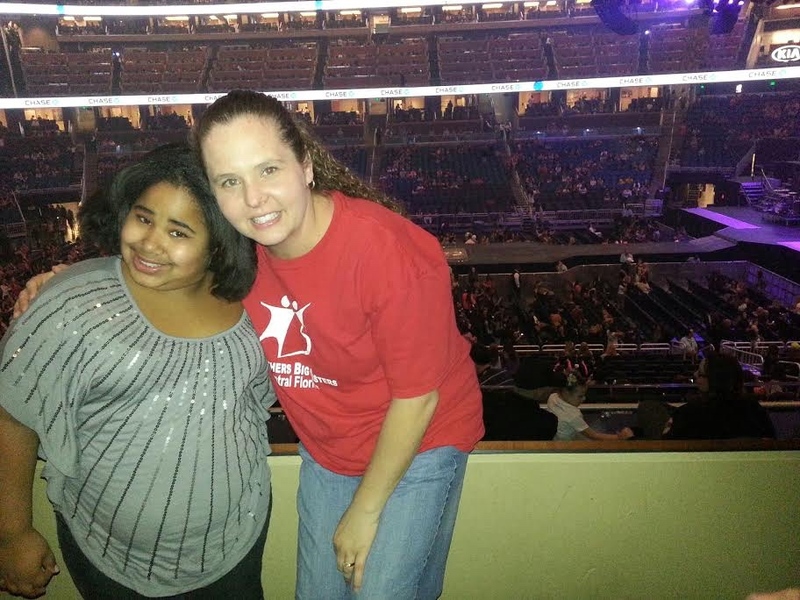 Big Brothers Big Sisters of Central Florida (BBBSCFL) believe that children living in single parent homes and going through financial hardships should not be dealing alone. BBBSCFL is a one-to-one mentoring organization that targets youth from age six through age 18 that face adversity. These youth are called a little, and they are matched with a secure volunteer called a big. These unique matches are performed with the help of donations. Each volunteer goes through a precise application process that includes finger printing, an interview and background check. Currently serving almost 700 youth across the Central Florida area, BBBSCFL has two main programs: community-based and site-based. The organization’s more traditional community-based program matches a little and a big of the same gender. Once they’re matched, they spend at least four hours per month together doing whatever they desire. Activities usually include participating in community events, working on school assignments, or even just going shopping. The site-based program is held at local elementary schools where the volunteers have the opportunity to meet the kids at school for an hour a week. The organization also has workplace mentoring where each little is brought to a sponsoring company and their big gets the chance to visit them at their job. “This is great because it allows for cross-gender matching. Since we have a large number of males on the waiting list and mainly female volunteers, this program has been a huge help,” says Jenn Horner, community relations coordinator for BBBSCFL. With each match costing the organization $1,000 and a waiting list with over 2,000 youth, donations and volunteers are constantly needed. Studies show that becoming a big brother or big sister to a child in need ensures a promising future where the child will establish more confidence in themselves, get better grades in school, form a closer relationship with their family and friends, and a life free from drugs and alcohol. Children really are our future. Simply making a generous donation or devoting a few hours of your time each month will change a child’s life forever. 1. Sign up online to become a big brother or big sister to a child that you will develop an everlasting connection with. 2. Donate to the organization by making one-time gifts, monthly giving, or tribute gifts. Tribute gifts are in honor of or in memory of someone special. 3. Volunteer at charity events like the 20th Annual Men Cooking From the Heart on Saturday, March 22 at the Melbourne Auditorium.